Microsoft and Apple are having a little disagreement related to the rumored Microsoft Office for iOS, an application that seemingly is on its way. First, Apple has decided to deny Microsoft the opportunity to update its cloud based storage system, SkyDrive for iOS. The Redmond based software giant has already updated its Android application, but Apple has refused to accept it's rival's request to update the iOS flavored app because of a disagreement between the two on whether or not Apple deserves the 30% cut it receives on in-app purchases. According to those with inside knowledge of the bickering between the two companies, it is not the 30% of the SkyDrive commissions for larger storage space that Microsoft and Apple are fighting over. Apparently, the fight revolves around the 30% of Office 365 subscription fees that Apple is fighting for. With Microsoft Office for iOS expected to launch early next year, the app is only going to allow users to read documents. Those who want to be able to edit documents using the Office for iOS app will have to subscribe to Office 365 and Microsoft apparently expects a discount on the 30% cut that Apple normally asks for. Microsoft isn't in favor of the 70/30 revenue split and Apple won't budge. Microsoft expects Apple to give it a discount for the privilege of letting Apple iPhone users use Office on its smartphone. Anyone who knows Apple can already figure out the Cupertino based firm's position on this. Apple has made an official statement on its feelings about revenue sharing on apps and if Microsoft responds, we will let you know. iWonder if Apple is trying to make iTunes do more than break even? Getting iGreedy, Apple, eh? The question is. Which the article doesnt state Is, is Apple's standard recovery fee from all developers 30% or is it this "special'' rate because it is Microsoft? The standard rate for all developers on iOS is 30%. Apple is high, but their store, their rules. I am sure that APPLE is way beyond break even with the iTunes. What I hate is when I purchase a movie that comes with a digital copy it is usually only for itunes. That is changing now that UltraViolet is becoming more prevalent. The last article I saw (back around Sept/Oct) said they were breaking even and just wanting iTunes to drive iToy revenues. Office 365 on other platforms than WP is simply to keep Office relevant and it should not deserve special treatment. But I do think 30% fee is to high and it should be 10% only for all platforms iOS, Android and WP, after all developers do not earn much at the moment. Well this is a shocker! I do hope they can come to terms so apple customers can benefit from a real office suite. iHate Apple even more nowadays. You take this stuff a little too seriously. just buy android and your fine if productivity is what you're looking for. What I have works great and it was free on Amazon one time (at band camp), and then really cheap on Play store during a sale. Why would you sell the iPad and get a Surface with a crappy display? Nexus 10 is better. We’ve paid out over 6.5 billion dollars to our developer community who have created over 700,000 apps. "-Tom Neumayr, Apple spokesman How much have they "steal" from "sitting around percentage"
I think the $6.5 B represents total payout from day 1 to when the statement was made. This will be an interesting dispute. How would Apple feel if their iOS users cannot edit MS Office docs with the official MS Office app? 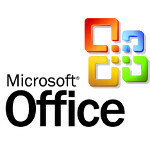 How would MS feel if they cannot sell MS Office to iOS user. 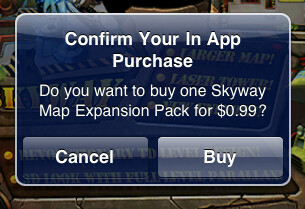 What will iOS users do? Will users be satisfied with third party Office apps on iOS? It looks like Apple users might be again at a disadvantage if Microsoft decides against Office for iOS over some revenue sharing.